Cagliari vs Roma predictions ahead of this Serie A clash on Saturday. Will Roma’s shaky form end in this clash? Read on for our match preview and free betting tips. Roma are aiming to turn around their problems in Saturday’s visit to Cagliari, with these two sides not that far apart in the Serie A standings. A poor campaign for the visitors means that they are only four points ahead of the hosts, who are aiming to end a four-game wait for a victory. That isn’t too outlandish a prospect, as the Giallorossi have been wildly inconsistent in the league so far this term, piling pressure on Eusebio Di Francesco. Can the manager turn things around in this clash? The hosts are 13th in Serie A, just five points off the bottom three. However, they’re also only five shy of the European places. That goes to show just how tight this campaign in Italy has been, and Cagliari’s season is full of possibilities as a result. While we don’t see them racing towards a top-six finish anytime soon, they’d be happy with a spot in the top 10. A victory on Saturday would go a long way to putting them in contention for a top half finish, and it would maintain a great start to the season at home for the Sardinians. The visitors lie in seventh, and are five points shy of the top four after a poor start. Di Francesco’s side seem to be lacking the consistency needed to challenge for a return to the Champions League. That comes after they made big changes in the summer, trading experience for potential. Their faith in youth could pay off down the line, but it leaves them struggling week to week this time around, and that provides a chance for Cagliari to upset the odds and pull off a victory here. Cagliari are aiming to end their run of three straight draws in the league, which has kept them clear of the drop. The issue for the Sardinians is that they don’t win enough games. They’ve tasted victory on just three occasions in 14 matches so far this season. That’s something they’ll look to change against a Roma side who have lost almost half of their away trips so far. In fact, the visitors have won just one of their last six away trips in the league. The Giallorossi are vulnerable here, despite Cagliari’s lack of wins. The hosts are among just three sides who are unbeaten at home this season, along with Juventus and Napoli. The away side head here with one win in six league games, while only Juventus have beaten Cagliari in their last seven in Serie A. We think the hosts can extend their unbeaten home run against a Roma side who are struggling for form, so we’re going with the hosts on the Double Chance market. Roma have conceded in each of their last six Serie A fixtures (eight in total), their worst run since May 2017. 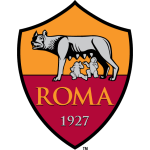 Roma have won only one of their last six away league games (D2 L3), beating Empoli back in October. Cagliari are yet to score a goal via a defender this season, while only Atalanta’s defenders (10) have netted more than Roma’s (9) so far this term. Roma are the only Serie A side without a single player to have appeared in every game in this campaign so far. Roma’s Cengiz Ünder has scored 56% of his total Serie A goals from outside the box (5 of 9) – however, Cagliari haven’t conceded any goals from outside the box so far in this campaign.